Goodreads Summary: When Erin Cerise steps off her plane in Christchurch, New Zealand, she is focused intently on her mission: do something unique that will erase the mess she made of her life on her 17th birthday. She’s already lost her swim team captainship, her boyfriend Ben, and her reputation. Her mother is certain studying abroad will regain Erin’s chances of a good future. Once Erin sees her uninspiring host family and city, though, she’s not so sure. First Thought After Finishing: I want to go to New Zealand, stat! 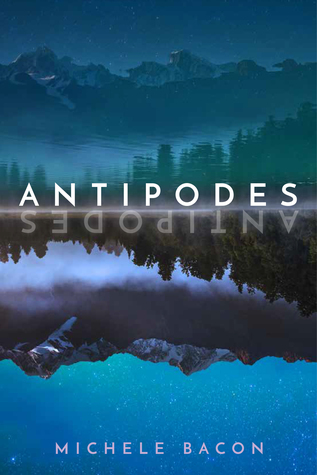 I love books with foreign settings, and I’ve always been intrigued by the beauty and lifestyle of Australia and New Zealand. 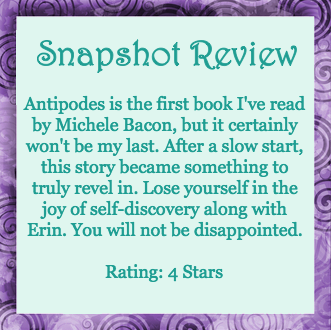 I was excited to dive into Antipodes and experience a different way of life vicariously through Erin’s study abroad experience. Needless to say, this book everything I didn't know I wanted and needed at the moment. Erin has her future all planned out. Clinch a swimming championship, be a fabulous cellist, get into Columbia, become a doctor, have a great life. Under the watchful eye of her powerful mother, Erin has worked her entire life to reach this dream. But new swimming students and one drunken night derail Erin’s plans. To save her college applications, Erin’s parents send her to study abroad. The new plan is simple: find something to wow Ivy League colleges. Instead, Erin discovers that sometimes you have to travel around the world just to find yourself. At the beginning of this book, I did not care for Erin very much, despite (unfortunately) seeing a great deal of my former self in her. Despite having the opportunity to fix her mistake, she was focused only on what had gone wrong in her life and her parents’ worldview, which translated into being rather snobby toward and judgemental of her host family and those around her. However, it doesn’t take long for Erin to start to realize how life is different in New Zealand—slower, more relaxed. This calm gradually rubs off on Erin, and she starts to reevaluate what is really important in life. This is a true story of self-discovery and proof of why travel is so important. She meets new friends—Jade, Marama, and Hank—who help to show her how life can be different. Honestly, I loved all of the New Zealanders that Erin meets. Her kiwi friends are the kind of friends everyone wants—welcoming and supportive without expectations. Her host family, despite having to learn how to get along with her, is warm and loving, and her younger sister is adorable. I especially enjoyed Hank’s life philosophy and hope that I am able to keep the words in mind as I move forward. "New Zealand was changing her--or revealing parts of her she didn't know existed." 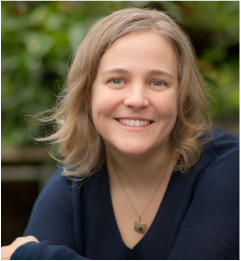 Erin’s journey resonated a great deal with me on a personal level. The lush, rich descriptions of the New Zealand landscape almost do justice to what must be breathtaking views. I cheered as Erin started to find her own voice and found something that made her truly happy—it was almost enough to make me want to go rock climbing, until I remembered that I’d likely die in such an attempt. Still, anyone who has ever had to rediscover themselves, break away from expectations, or simply wants to be transported will find something to love about this book. Most Memorable Aspect: The New Zealand setting. I’m in love with all of the scenery described!